Divide 3-digit Numbers by 6, 7, 8 or 9. Multiplication tables have been with us for many years, but more recently it has been suggested that children should also be aware of division tables and even learn them ‘off by heart’. 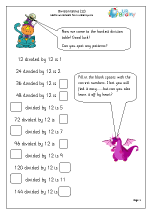 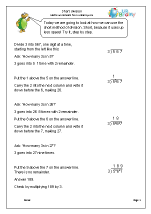 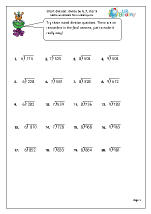 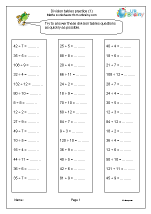 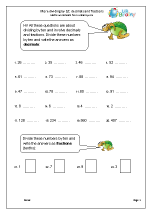 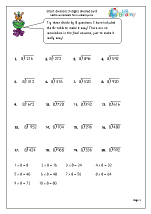 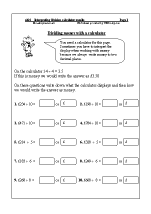 We have just published four sets of worksheets looking at division tables for 7, 9, 11 and 12, suitable for Year 4 children. 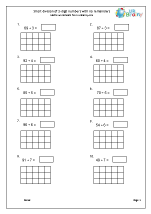 Of course, if the corresponding times tables are known this becomes quite easy. 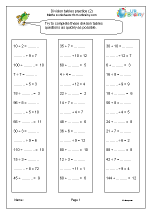 Knowing these facts is vital when children attempt the short or long method of written division; without this knowledge the whole process becomes very time consuming as children use a variety of inefficient methods to reach the answer. 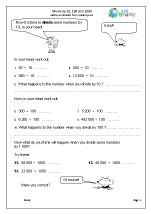 Children should be able to divide numbers up to 1000 by 10 or 100 (whole number answers) and understand the effect of this. 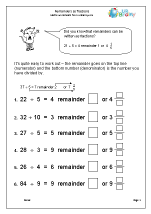 Written methods of division of 2-digits by 1-digit are developed, including writing remainders as fractions.